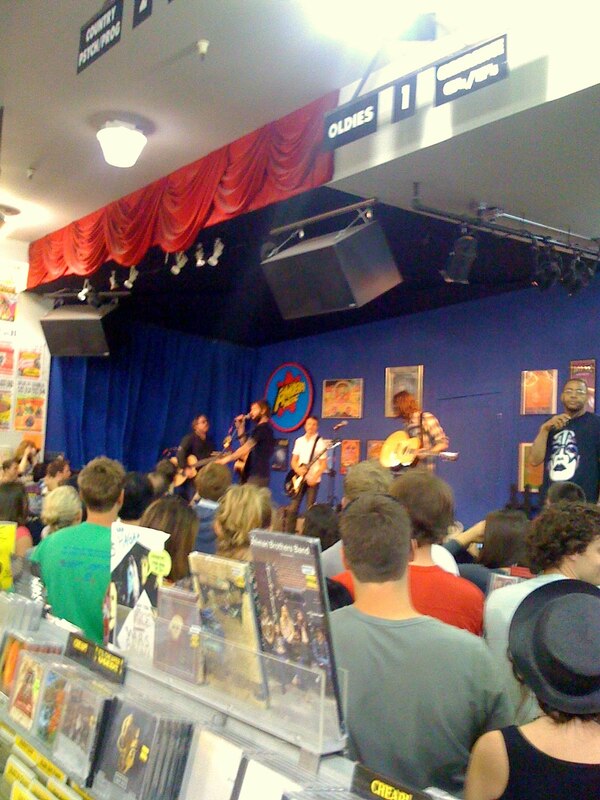 Band of Horses Saturday morning at Amoeba Music. about an hour and a half before it started. hurried over to check it out. I felt like such a lucky-duck. 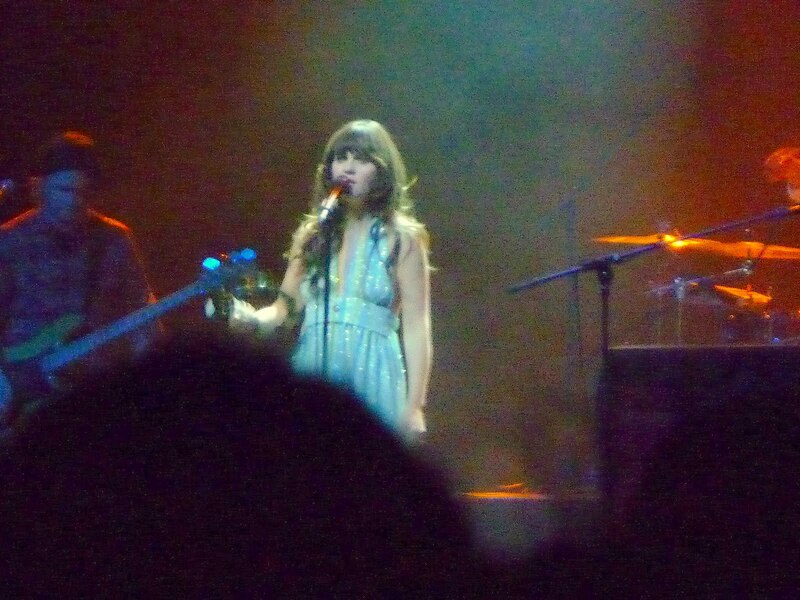 Later that evening was the She & Him concert. Honestly? It was just ok.
but she lacks that special performance factor. but I left slightly disappointed. We couldn't hear or understand anything she said between songs and this was a standing room only concert. I'm not a fan of "no seats." It's hard to see over the tall people in front of you and who wants to just stand there for over 2 hours. Not me and Brandon. 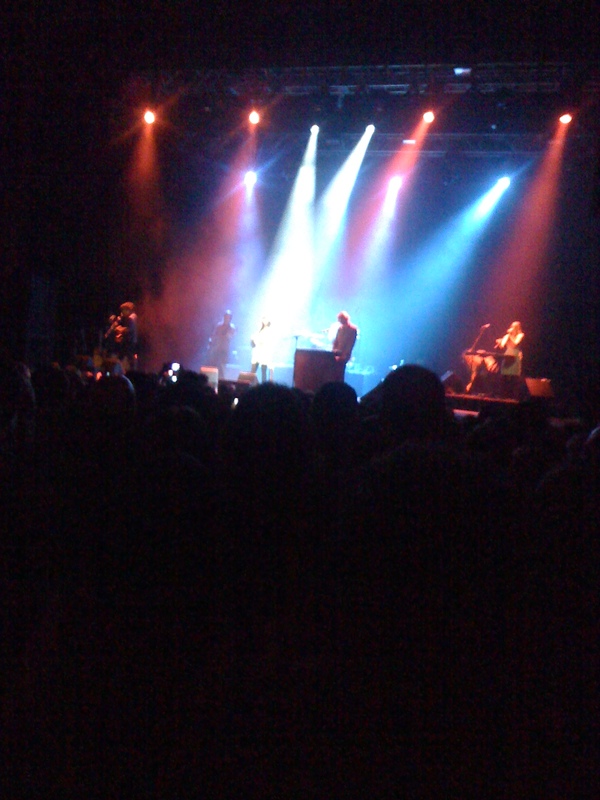 In the end, I hope to see Band of Horses in concert again someday. They were awesome. ** More San Fran pics tomorrow!